An elite forces military memoir recounting the quest of a university graduate who sought adventure and redemption. Since 1831, the French Foreign Legion has been a renowned symbol of discipline and solidarity. Made up completely of foreign volunteers, the French Foreign Legion gives men a new lease on life, and a chance to test their limits both physically and mentally. And in 1999, the Foreign Legion was just what American Jaime Salazar was looking for. From the harrowing physical rigors of Legion basic training to his posting in the 2e REG outside of the tiny village of Saint Christol, from his fierce competitiveness and pride to his ultimate disillusionment with the French Foreign Legion and dramatic desertion, this is the story of Salazar's quest for honor and sacrifice. 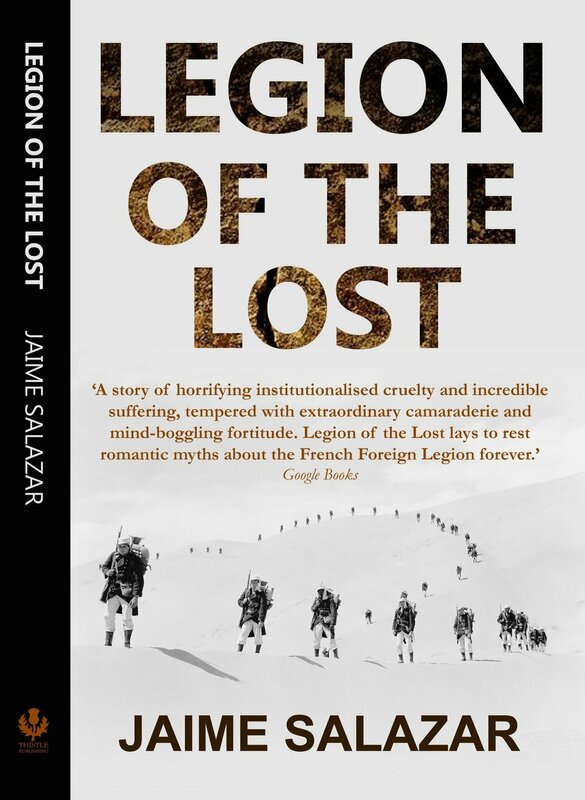 Legion of the Lost is a compelling, first-hand account of the contemporary French Foreign Legion, sure to dispel myths while, at the same time, add to the legend of the finest trained army of mercenaries the world has ever seen. Some characters mentioned in this book are morphs of several individuals. Some occurrences described were second hand accounts. Some events were exaggerated or left out, in order to emphasize a point. This narrative describes my experience in the Foreign Legion in 1999, and is not mean to characterize the Legion as a whole in subsequent years. The original text was edited for clarity and succinctness.